Oh. Damn. Not to matter. It turns out that Hawke, the protagonist (kind of?) travels Ferelden with his sister, Bethany, something which has caused quite a stir on the Bioware forums regarding romance options – Baldur’s Gate set the trend here (I will never forgive them for not allowing Imoen to be romanced, anyway, she was only your half sister via divine blood – totally fair game), but David Gaider set the community straight. I know the mere idea of this is going to cause some people to go into paroxysms, but in a Dark setting I think the possibility of the main character engaging in an incestuous relationship with his sister could make for some very interesting role play opportunities. Not only do you have to deal with the taboo nature of the relationship, but the added dynamics of dealing with a sibling. 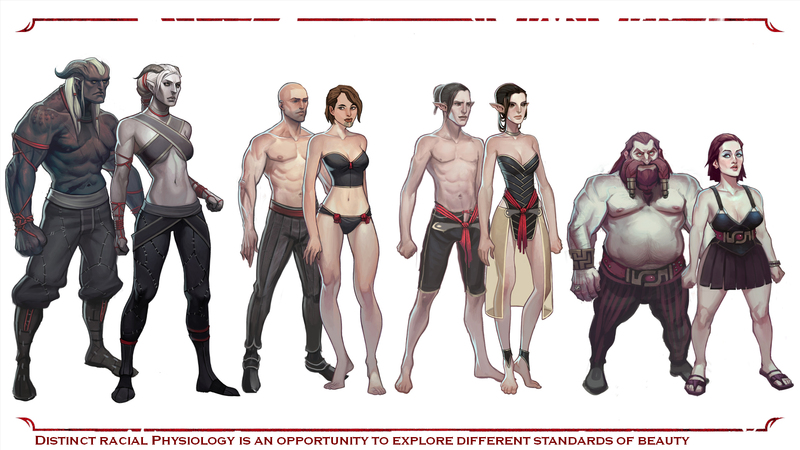 This is the sort of “pushing the envelope” that I think Dragon Age as a setting is ripe for. Love, between two consenting adults, is a beautiful thing that should be cherished. Why should it matter who those two people are, whether brother/sister, two homosexual people, a man and a woman or otherwise? Why is it acceptable, in a game, to have a relationship between a Dwarf and a Human, but not between (example) two siblings? This is not going to happen, and the fact that it’s even being requested makes me wonder. To be short, DAO 2 will not have a toolset. I think that DAO I toolset is very powerful but very complicated. Oh. Wait, what? Complicated? Nobody expects the legions of console users to use it (too many pesky thoughts required), it’s a toolset! It’s meant to be complicated! What else can they do to ruin this game? For budgetary reasons, we focused our work on a 3rd person view, that asks for very detailed and nice textures so that the player can admire the game with a close-up view. With an aerial view we should cover much more ground and so create other textures. Now, the game mainly sold on console, so we’re going the way of the audience. I weep for the future of Western RPGs. I also blame the silly kids who play Final Fantasy and think that’s what an RPG should be about.